The dimension of the vertices. By default, it creates only one vertex of dimension with components equal to 0. 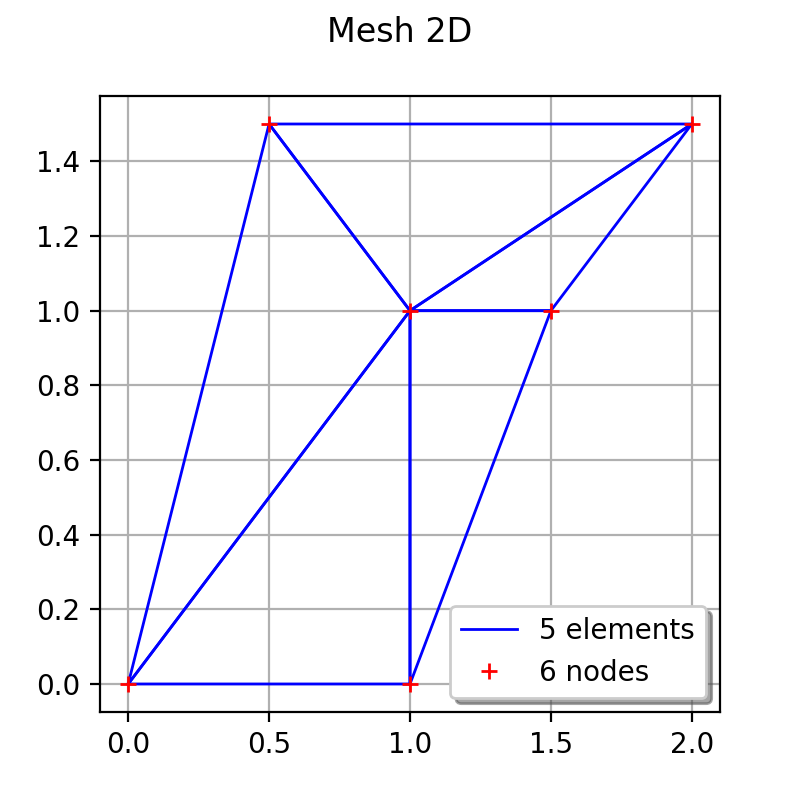 List of simplices defining the topology of the mesh. 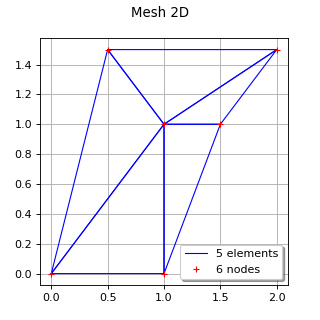 The simplex connects the vertices of indices in . In dimension 1, a simplex is an interval ; in dimension 2, it is a triangle .